hoi.polloi » June 6th, 2017, 1:16 am wrote: Ah, the rationale of the egoist. Yes, we sure need PsyOps to give voice to racism and nationalism! Well, if other Europeans are prepared to jeer at what they believe to be a real attack, it is honestly quite sobering, you can't deny that. One of the purposes of these staged events is to influence the image of a country abroad, so obviously I am affected by it. It's normal to care. If I try to be a good person, it's disheartening to know that people abroad basically wish death on me (and I mean Europeans and North Americans). Pretty depressing really. But I'd prefer this to be brought to my attention, than not knowing. So i just came across one of Annita Mcveigh's reports on Manchester and it made me want to revisit Timothy Mcveigh's fertiliser bomb in Oklahoma. Well I'll be damned - the date of that event is 33 days before the supposed Manchester bombing. 22 years ago too! * Edit - placed space line between words and photo, to look better. I would like some feedback on my above post regarding the fake photo. Had considered commenting on the dailymail site, in the comments section, bringing light to this fake photo. Opinions on this please? Any other suggestions? Such as complaining regarding the use of this fake photo. To whom? Many thanks in advance - I am a matter of months into knowing about the fake media, etc, therefore I feel I need some guidance. 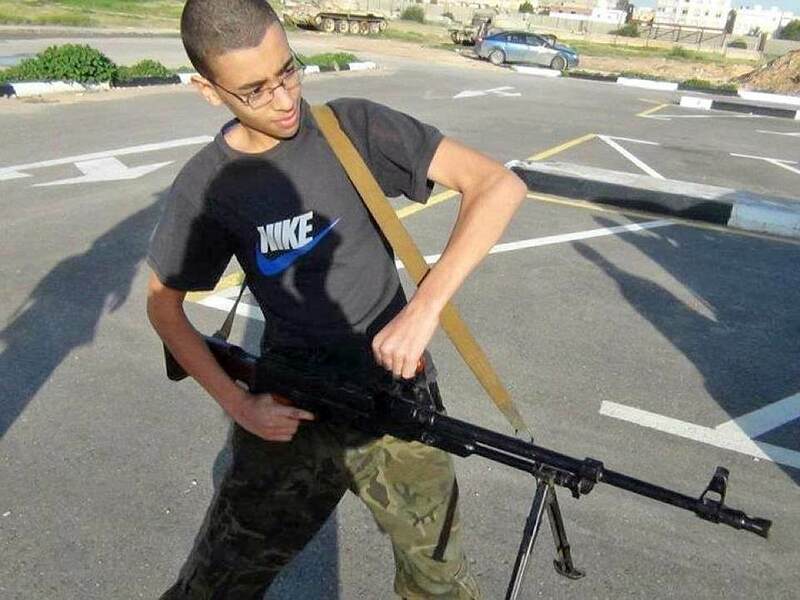 If that is the reflection of the sun in Abedi's sunglass then I would say it points to you being correct. Btw, the photograpth on the same page, of his younger brother, also highlights some dodgy shadowing, namely the angle of the shadow of the rifle support and the shadow of the camera man. Hello kickstones, thank you for replying. I also noticed that other photo and downloaded it, as I too thought the shadows didn't look right at all! But couldn't quite work out where the problems were! Maybe that in itself is a red flag? Hello dblitz, cheers! I very much appreciate your feedback and will take your advice. Regarding complaining to official bodies, you're right, would they listen? Also I fear playing into the agenda of regulating the internet from 'fake news'. 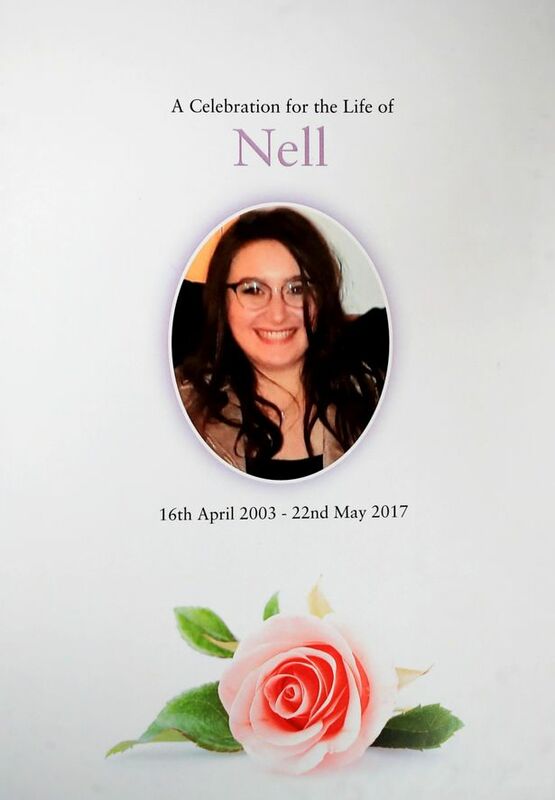 The only dead 14 year old who's family think that a picture of her looking mid-30's is appropriate for a memorial. Pippali, you make a very good point regarding "two suns". That certainly looks like obvious proof of Photoshop. I appreciate your taking a screen grab of the context. This is a good way to archive official sources of information that are subject to so much change. The cathedral service will be shown on a big screen in the city as well as in other cities across Britain, including York, Liverpool and Glasgow. Later Tuesday, more than 3,000 singers from local choirs will come together to mark the anniversary in Albert Square. One of the groups performing are the Manchester Survivors Choir, a group made up of those who were there on the night of the attack, and a local school choir which performed on stage with Grande at the One Love concert. Bells will ring out across the city center at 10:31 p.m. to mark the exact moment of the explosion last year. For the rest of the week, song lyrics will be projected onto St. Ann’s Church, St. Ann’s Square and New Cathedral street from dusk on May 22 through to May 26. Families of the victims and members of the public were asked to submit a single line from a song which had a personal significance for them.